‘Tis the season — not just for get-togethers with loved ones and gift giving, but also scoring a fantastic deal on a new Delaware home. Imagine your family spending this holiday season and New Year in the home of your dreams! 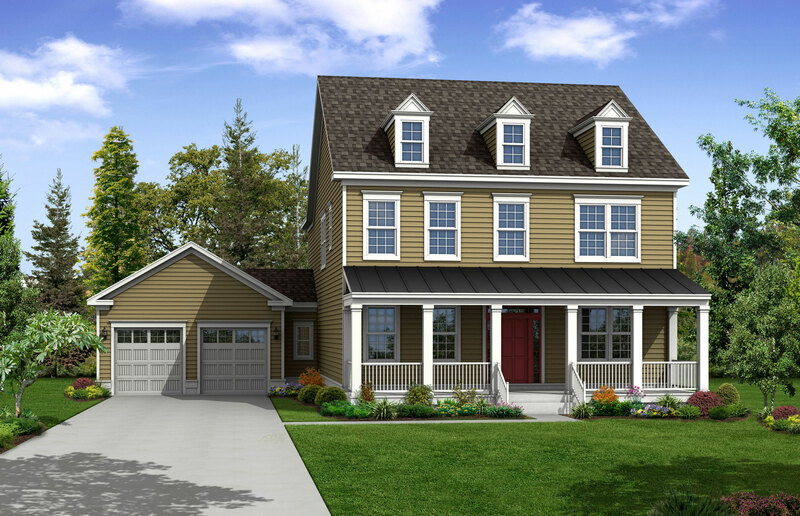 Montchanin Builders, based in Wilmington, Delaware, is proud to help families with this exciting life milestone, whether you envision yourself in a modern townhome close to city attractions, or in a sprawling estate home convenient to award-winning schools. With Thanksgiving nearly here, now is time to browse our beautiful move-in ready homes in some of Delaware’s most desirable neighborhoods and consider giving your family the ultimate gift this holiday season. Montchanin Builders has several new construction homes that are ready to host your holiday festivities. The prestigious Darley Green community just 10 minutes from downtown Wilmington features luxurious twin homes boasting classic architectural styling, up to 4 bedrooms and 3 1/2 baths and open concept floorplans. There are plenty of ways to customize your new living space, with optional upgrades like granite countertops, maple kitchen cabinetry, high-end stainless steel appliances and a gas fireplace. Looking to grow your family over the years? Take a tour of Shipley’s Circle, where single family estate homes feature multigenerational floorplans and 2,825 square feet of living space. These beautifully crafted semi-custom homes are nestled on spacious, forested lots, offering plenty of room for outdoor play. Best of all, this neighborhood is close to shopping, entertainment and some of the Wilmington area’s top-rated schools. The brand new Sassafras series of 3, 4 and 5-bedroom estate homes in The Town of Whitehall represent a one-of-a kind opportunity for holiday homebuyers. Located in Middletown, this walkable community has every amenity and convenience you could ever want – all just steps from your door. Lushly landscaped nature trails, restaurants and retail establishments are seamlessly incorporated in this amazing new development, where you can spend the holidays in style. Floorplans include grand front porches, gourmet kitchens and huge recreation rooms – imagine the possibilities for your family! One of the biggest perks to purchasing a new home by Montchanin is the ability to imprint your own style and taste in the finishes. The basics are already in place, but homebuyers can opt to upgrade the flooring, cabinets and fixtures. Drawing on more than six decades of experience, Montchanin is considered one of Delaware’s premier homebuilders and has built a reputation for quality craftsmanship and professional service. We offer great incentives for first-time homebuyers and attractive financing plans with low closing costs. If you’re ready to start making memories with your family in a brand new home this holiday season, we invite you to contact us. Our sales representatives are standing by.